The Taricco II judgement (M.A.S. and M.B. case) handed down by the CJEU on 5 December 2017 is a telling and worrying example of a weakly reasoned court decision and the high price at which such weakness comes. It is a judgement that disregards legally problematic questions, seemingly subordinating argumentative consistency to the constraints of legal policy in a climate increasingly critical towards EU law and institutions. The (potential) collateral damage of this approach is considerable: in particular the principle of EU law primacy and the jurisprudence on the relationship between domestic and European standards of human rights protection are challenged. In order to avoid one perceived “evil” the Court might have opened a Pandora’s box for another: While the Italian Constitutional Court’s threat to apply its controlimiti jurisprudence and the related constitutional identity narrative has been countered, the Court paves the way towards a general relativisation of the primacy of EU law vis-à-vis domestic constitutional law. The facts of the case have already been stated in the previous entry by Marco Bassini and Oreste Pollicino. I will focus on the implications of this judgement for the principle of primacy in the context of human rights protection and beyond. Giving up Melloni and Åkerberg Fransson? The attenuation of the principle of EU law primacy is closely linked to the challenge that Taricco II represents for the relationship between domestic and European human rights standards. I accordingly will first highlight some of the implications for the legal framework of human rights protection. This framework so far has been constructed around article 53 of the Charter and, based on the Melloni and Åkerberg Fransson jurisprudence, has taken the principle of primacy into account as a restricting element. Despite article 53 of the Charter being at the centre of the argumentation by the Italian Constitutional Court and by the Advocate-General Bot in Taricco II, this provision is not addressed by the CJEU at all. The judgement does not engage with the argument that the domestic understanding of the principle of legality provides a higher standard of human rights protection than article 49 of the Charter and can therefore prevail under article 53 of the Charter. The Italian Constitutional Court had based this aspect on the consideration that according to Italian constitutional law, the principle of legality encompasses guaranties with regard to rules of prescription. In Italy those rules are considered part of the substantive criminal law. As the court said in its preliminary reference: “The Italian Constitution construes the principle of legality in criminal matters more broadly than European law as it does not limit itself to describing the conduct constituting the offence and the penalty, but rather covers all substantive aspects of liability to punishment.” With regard to this argumentation, the CJEU should have engaged with article 53 of the Charter and the related Melloni and Åkerberg Fransson jurisprudence, which has become part of the primacy architecture of EU law,. However, such reasoning is nearly absent from the Taricco II judgement. Although the CJEU does refer to Åkerberg Fransson in para 47, it only formally recites that the “level of protection provided for by the Charter, as interpreted by the Court, and the primacy, unity and effectiveness of EU law” must not be compromised by the application of domestic human rights standards. In the subsequent discussion, there is no engagement with these limits – a problematic fact given the implications of the case especially for the primacy and effectiveness of EU law, as pointed out by Advocate-General Bot. While article 53 of the Charter does not appear at all in the judgement, the court merely cites its own remarks in Taricco I that “if the national court decides to disapply the provisions of the Criminal Code at issue, it must also ensure that the fundamental rights of the persons concerned are respected” (para 46). As it stands, potentially diverging understandings of human rights protection with regard to the principle of legality on the domestic and the European level is absent from the judgement. Moreover, the judgement lacks a clear conceptual distinction between the EU law principle of legality and the domestic law principle of legality. Consequently, there is no engagement with the question of how these principles interrelate, whether they are congruent or divergent, and which of them has to be applied in the case at hand. Neither does the court explicitly address the question whether a large or narrow margin of discretion should be accorded to the domestic courts, as discussed by Advocate-General Bot in his opinion. The court does, as a matter of fact, recognize a broad discretion by giving effect to the domestic understanding of the principle of legality – however without tying it back to particular criteria or requirements. What the CJEU provides instead, is a reference to domestic constitutional standards which lacks systematic framing. When discussing in which way “the” principle of legality (in its domestic or European form – the court does not specify at the outset) modifies the obligation under article 325 TFEU, the court first seems to refer to article 49 of the Charter. It even attempts to concretize its content by taking up the relevant case law of the European Court of Human Rights on the parallel article 7 ECHR. However, it then somewhat abruptly brings in the Italian understanding of the principle of legality, without conceptually linking it to its prior observations on articles 49 and 7. In this regard, the Court treats article 7 ECHR and the Italian constitutional principle on an equal footing, as if both would flesh out the EU law norm of article 49 of the Charter to the same extent. The court argues as if the requirements of “foreseeability, precision and non-retroactivity” distilled from the jurisprudence of the ECtHR have a self-standing meaning that can be separated from the question of what needs to be foreseeable, precise and non-retroactive. It seems to claim that European law sets a general standard which individual domestic courts simply need to concretize. Yet this line of argumentation disregards the fact that the object of the guarantee enshrined in article 49 of the Charter and article 7 ECHR is an inherent part of the legal norm itself and that “foreseeability, precision and non-retroactivity” cannot be detached from it – i.e. they cannot be detached from the question of whether rules on prescription are included or not. Against this backdrop, the reference to the domestic constitutional law understanding of the principle is in fact a direct reference to a domestic constitutional principle distinct from article 49 of the Charter. Yet this reference remains completely disconnected from the established framework of the relationship between EU law and domestic law. As a result, this reduced and somewhat inconsistent argumentation affects the legal framework of “parallel” human rights protection on the domestic and EU level as established by article 53 of the Charter and the Melloni and Åkerberg Fransson jurisprudence. Although this jurisprudence has been criticized for its restrictive construction that strongly favours EU law, attenuating this jurisprudence in the rather inconsistent way that Taricco II proposes is hardly a preferable option. Albeit giving much weight to the principle of legality, the court certainly does not itself contribute to the foreseeability and clarity of the relationship between domestic and European law. Instead, it offers a basis for weakening further fundamental principles on which the relationship between EU law and domestic law has been grounded so far. Unlike the reading of Taricco II suggested by Marco Bassini and Oreste Pollicino on this blog, I thus submit that this decision actually has a significant impact on the primacy of EU law. Without explicitly addressing it, the court in fact introduces a constitutional law exception to the principle of primacy. In so doing, it attenuates the extent of the primacy established since 1970 in the decision Internationale Handelsgesellschaft. How does the court introduce an exception to primacy? It is not through the mere creation of an exception to the obligation following from Taricco I to disapply national rules on prescription under certain circumstances. If this exception was indeed deduced from EU law itself, only the EU law obligation would have been refined. Put differently, if the Court had indeed confined itself to construing this exception as a result of a conflict of norms internal to EU law, namely between article 325 TFEU and article 49 of the Charter, the principle of primacy would have remained unaffected. Yet in substance, this is not what the court did. As has been shown above, although the decision formally refers to article 49 of the Charter, it does not take this norm as the primary point of reference for the question of how the national court has to ensure that the fundamental rights of the persons concerned are respected. Rather, the de facto point of reference is domestic constitutional law and its understanding of the principle of legality. It is this national constitutional principle of legality that is in conflict with the obligation following from article 325 TFEU. Hence, the exception postulated in Taricco II is the result of a conflict between EU law and domestic law – with the CJEU only unconvincingly trying to disguise this. This conclusion is stressed by the CJEU itself when it speaks in para 61 about “a national situation incompatible with EU law”. For the first time in its jurisprudence, the court thus resolves such a conflict between domestic law and EU law not in favour of EU law primacy but in favour of the domestic constitutional law principle – without basing this outcome explicitly on the higher level of protection rationale in article 53 of the Charter. What is more, it does not integrate this exception into a legal framework that would restrict its unlimited repetition in other circumstances. From the perspective of legal policy, this judgement could prove to be paradoxical. The aim of this very lenient approach and its de facto revirement of the Taricco I jurisprudence was to avoid a situation in which the Italian Constitutional Court would put its controlimiti jurisprudence into practise, openly disapplying EU law in order to guarantee Italian constitutional principles. However, the consequence of Taricco II is in fact even more far-reaching: based on the argumentation in this judgement, a possibility has been created not only for Italian courts but for all domestic courts to invoke their respective constitutional law in order to disapply EU law and to circumvent primacy. And that is potentially the case not only with regard to the principle of legality but also constitutional principles in general. As a result, even though the approach taken by the CJEU might be euphemistically seen as an expression of a “pluralistic” interpretation of national constitutional traditions, the judgement might have opened a Pandora’s box for an even broader trend towards constitutional exceptionalism among EU member states. In the present political climate, this raises the question of whether such considerable deference might be ultimately counterproductive. 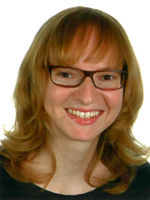 SUGGESTED CITATION Burchardt, Dana: Belittling the Primacy of EU Law in Taricco II, VerfBlog, 2017/12/07, https://verfassungsblog.de/belittling-the-primacy-of-eu-law-in-taricco-ii/, DOI: https://dx.doi.org/10.17176/20171207-180534. Thank you for discussing this interesting aspect of this judgment. In my understanding, however, the reference to the limitations of national standards of protection by “the level of protection provided for by the Charter, as interpreted by the Court, and the primacy, unity and effectiveness of EU law” in para 47 need to be understood as a reference to article 53 CFR. There the ECJ not only refers to para 29 of Akerberg Fransson, but also to "the case-law cited", which is para 60 of Melloni – the central paragraph of this judgment regarding the meaning of article 53 CFR. Although the ECJ in Taricco II does not explicitly refer to this article, refering to the limits of "primacy, unity and effectiveness" for national standards can not mean anything else but what article 53 CFR in the understanding of the ECJ says. The following reasoning then can be understood as a mere application of article 53 (and 52 (4)) on the case: the ECJ sees no risks for "primacy, unity and effictiveness" of EU law (disputable), so higher national standards of protection are determing the interpretation of article 49 CFR. 1. Der Beitrag zeigt sehr schön die dogmatischen Unschärfen eines grundrechtlichen „Pluralismus“, wenn der EuGH bei der Auslegung von Art. 49 GRCh keine klaren Standards vorgibt (was möglich gewesen wäre) und es dadurch den nationalen Gerichten überlässt, strukturgleiche nationale Grundrechte eigenständig auszulegen. Das ist jedoch keine Relativierung des Vorrangs oder der Melloni-Entscheidung, weil hier keine Vollharmonisierung vorlag (Rn. 44 f.), sodass Raum für eigenständige nationale Standards bleibt. Insofern stimmt Taricco II mit den Grundannahmen von Melloni sowie Åkerberg Fransson überein (letzteres Urteil zitiert Rn. 47 explizit unter Einschluss der dortigen Referenzen, also Melloni). 2. Die zitierte Passage in Rn. 61 zur Akzeptanz „einer mit dem Unionsrecht unvereinbaren nationalen Sachlage“ ist in der Tat sehr missverständlich, muss aber gleichfalls keine generelle Relativierung des Vorrangs beinhalten. Dies wird deutlich, wenn man die dort zitierte Entscheidung konsultiert, die die alte Streitfrage betraf, ob die Rechtskraft zu relativieren ist, wenn sich später herausstellt, dass die Entscheidung auf falschen materiellen Annahmen beruhte (in Deutschland bekannt ist die Debatte um die Bestandskraft von Verwaltungsakten aufgrund Kühne & Heintz etc.). Ganz ähnlich lag der Sachverhalt in Taricco II: Es wurden zahlreiche Strafverfahren, die wegen Verjährung eingestellt worden waren, nachträglich wieder aufgerollt. Rn. 61 relativiert den Vorrang somit nicht materiell, sondern nehmen dessen prozedurale Umsetzung zurück, indem keine formale Rechtskraftdurchbrechung verlangt wird. Man sollte Rn. 61 mithin wohl so lesen, dass eine (materiell) mit dem Unionsrecht unvereinbare nationale Sachlage aus (formalen) Gründen hingenommen wird. 3. Unabhängig von diesen technischen Einzelheiten bestätigt Taricco II, dass der EuGH auf nationale Impulse und Anliegen einzugehen bereit ist, also kein Grundrechtsunitarismus droht – umgekehrt aufgrund der Überlappung der Grundrechtsebenen aber auch die Zeiten eines nationalen „Grundrechtsisolationismus“ vorbei sind. Dass das Gesamtbild ein Verschwommenes sein kann, zeigen das Urteil und der Beitrag von Dana Burchardt.